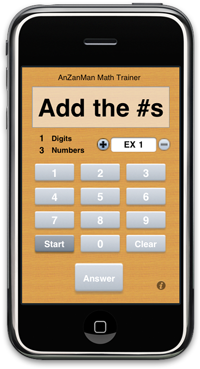 This is an iPhone/iPod touch version of the Mental Calculation trainer. "Anzan" means "Mental Calculation" in Japanese. You can train your mental calculation skill by adding up the numbers as they appear on the screen. When you get the answer, type it in the keys, then touch "Answer." It will tell you if you got the answer right or wrong. Touch "Clear" to correct the number, or cancel the quiz. There are 22 difficulty levels which can be chosen by "+" or "-" buttons. 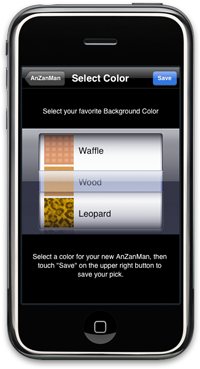 For your playing pleasure, the background can be chosen from 21 unique patterns. Copyright 2008 UkiArtz. All rights reserved.